This award is named after Dr. Abdus Salam who is a Pakistani theoretical physicist, astrophysicist and Nobel laureate in Physics for his work in Electro-Weak Theory. Salam holds the distinction of being the first Pakistani and the first Muslim Nobel Laureate to receive the prize in the Sciences. Professor Abdus Salam, the first Muslim scientist who won a Nobel Prize, shared the 1979 Nobel Prize for physics with two American scientists, Sheldon Glashow and Steven Weinberg for their independent development of a theory unifying the electromagnetic and the weak nuclear forces. He was born in Pakistan on 29 January 1926 and remained a proud citizen of Pakistan all his life and after death his remains were also transported and buried in Pakistan on November 25, 1996. Abdus Salam was a hero and a role model for a great number of Pakistani youth in particular and Muslims in general. He was the lone Pakistani star who rose from one of the most underdeveloped regions of his country and shone brightly on the international scene. He not only researched for the Gauge Unification of Fundamental Forces, but also was a great believer in the unification of the international scientific community. His efforts in this regard bore him the fruit of the International Center for Theoretical Physics (ICTP) for which he was the founding director. This unique institution in Triest, Italy invites and benefits over a thousand scientists each year from all around the world. He also discharged his duties as Professor of Theoretical Physics at Imperial College, London. He was associated with numerous commissions, associations, committees and other learned bodies. He was the most powerful and influential advocate of science for developing countries. For him the difference between the developed world and the developing world was not of wealth but of science and technology. His own example has demonstrated that the 'third world' cannot only learn it, but also excel in it, and can even be its creator. To promote science in third world countries he built a network of organization such as Third World Academy of Sciences (TWAS), Third World Organization for Women in Science (TWOWS), etc. Professor Salam was a great source of inspiration, guidance and in some cases financial support for many of budding scientists from all around the world. Quite a few students received financial aid from him. 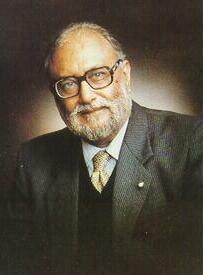 Dr. Abdus Salam's was such a personality that our youth ought to emulate. He is no more with us. The best way to cherish his memory is to create an environment that is conducive for the development of scientific spirit and temper essential for the creation of many more Salams. This is why the National Department of Education at AMJ Canada Inc strives every year to hold this exciting event that encourages students to think like young scientists. The main purpose of the fair is to raise the profile of science among children, parents and community at large. This also helps show the progress of our youth in Sciences through years by demonstration of their scientific learning and achievements at the fair every year.